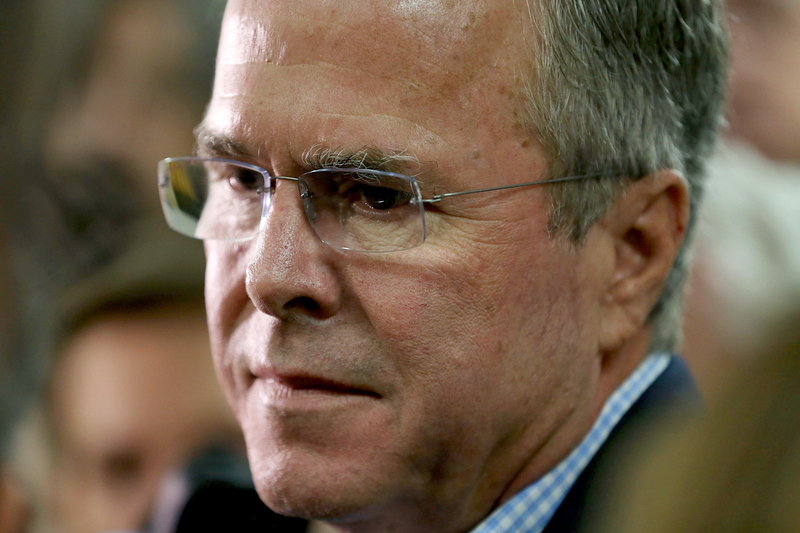 Prior to Donald Trump's arrival on the scene, Jeb Bush was considered the obvious Republican candidate for president. However, Bush now has his work cut out for him. He sits in third place as of Tuesday, according to a New York Times / CBS poll, trailing behind the first-place Trump and the second-place Ben Carson. Clearly, all of this was heavy on Bush's mind during Wednesday evening's second Republican presidential debate — not only during the questions that made up the main portion of the debate, but also during his closing remarks. In fact, Bush's closing remarks focused a great deal on the economy, a subject his counterparts didn't address in much depth during their own closing statements. Bush's closing focused on growth and opportunity, but he still looped in other issues that were heavily discussed throughout the evening, such as immigration policy. Overall, Bush's performance in the debate was better than his showing in the first debate in August. Back then, The New York Times assessed that, while he didn't commit any major errors, he didn't stand out as a winner. Of course, it's still early in the race for the nomination, but the debates are huge moments for all of the candidates. Here are the key themes Bush highlighted as he closed out the debate this time around. Bush began his remarks by stating figures such as "Six million more people are living in poverty than the day that Barack Obama got elected president. Six million more people. The middle class has had declining income, workforce participation rates are lower than they were in 1977." He went on to say that he believes "we can reverse course "by creating a strategy of high sustained economic growth, not the new normal of two percent that all the left says we just have to get used to, but a four percent growth strategy." As a part of his plan to increase the economic growth of the country by four percent, Bush said that he wanted to reform immigration policy so that it would become "an economic driver." Rhetoric surrounding the U.S. as respected leaders of the world has been a Trump battle cry for a long time. Bush put this idea into his own economic terms, saying "Without a high-growth strategy, our country will never have the resources or the optimism to be able to lead the world, which the world desperately needs our leadership."